UPDATED: February 23, 2015, at 2:02 a.m. The Undergraduate Council passed a declaration of solidarity with the Muslim community at their general meeting Sunday, in light of the killing of three Muslims in Chapel Hill on Feb. 10. Harvard Islamic Society Vice President Hassaan Shahawy ’16 attended the meeting, speaking to the Council about reactions to the shooting within Harvard. A vigil for the victims was held last Thursday at Memorial Church, and the Islamic Society met with Dean of the College Rakesh Khurana last week, according to Shahawy. The Office of Career Services made a presentation to the Harvard Undergraduate Council during the third meeting of the semester. Overall, Shahawy stressed that the Muslim community at Harvard was very grateful for the support they have seen from students, faculty, and administrators thus far. The original resolution included a clause claiming that the media response to the shootings was “disappointingly slow” in the eyes of the Muslim community. Rules Committee Chair Brett M. Biebelberg ’16 proposed an amendment to strike that language, which passed narrowly. Several representatives said they did not see significant proof that the media’s response was inappropriate. “I don’t feel comfortable saying something where the truth isn’t clear, especially on behalf of the entire undergraduate community,” UC Treasurer Meghamsh Kanuparthy ’16 said. An additional amendment that was approved—introduced by Winthrop House representative Vimal S. Konduri ’17, a Crimson news writer—added a clause to express the Council’s gratitude to Harvard affiliates’ response to the shootings. The Council also decided to undergo a reboot of its gender equity campaign this week, changing its name to "SideBySide." The campaign was originally called "HeForShe," indicative of the campaign’s link to the United Nation’s worldwide gender equality campaign of the same name. “The feedback we’ve been getting was hesitance towards the 'HeForShe' name: It implied a gender binary, it was exclusive,” Mather House representative and project manager Michelle S. Lee ’16 said. According to Lee, the name "SideBySide" better represents the mission of the campaign to involve and empower all gender groups. Lee, an inactive Crimson news writer, said at the meeting that a launch event for the campaign will be held at the Institute of Politics on March 2. 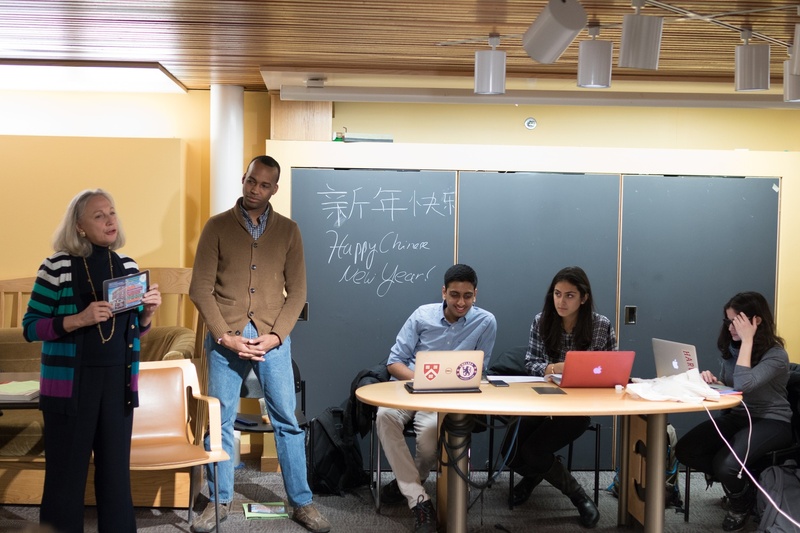 In addition, the Council unanimously passed three other pieces of legislation: an allocation of $500 towards "SideBySide," a grants package allocating $11,131.76 to student groups, and an endorsement for the Summer Playbook, a web application designed by Harvard students to coordinate social gatherings and short-term living arrangements over the summer. —Staff writer Jalin P. Cunningham can be reached at jalincunningham@college.harvard.edu. Follow her on Twitter @JalinCunningham. As Muslims in America, we feel that the average American, and even the average Harvard student, knows very little about who we are, where we come from, and what we stand for.